Singapore – Based in Switzerland, Geneva Lab adds simplicity to sophisticated electronic products. Experts from a range of industries – including industrial design, fashion, and technology – hold our creations in high regard for their distinct balance of performance, simplicity, style, and sustainability. 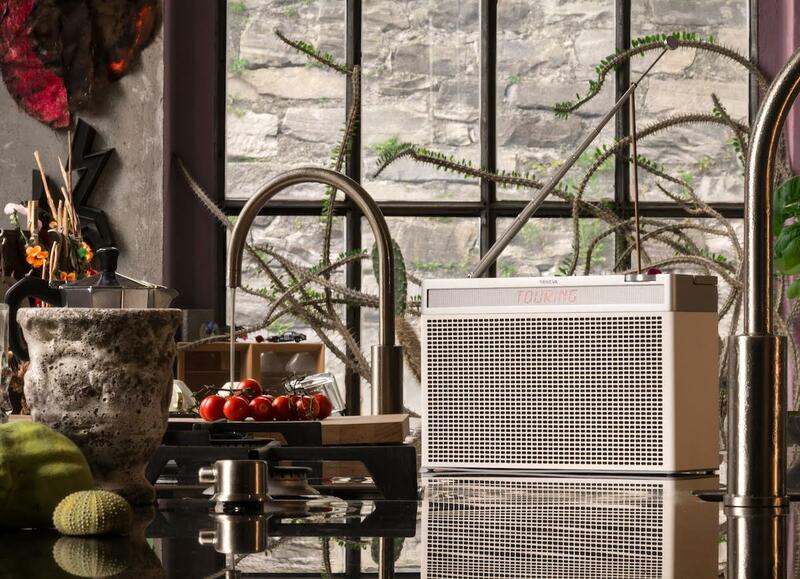 Geneva Lab introduces the new Touring Series portable wireless Bluetooth speakers priced and the Acustica/Lounge to the local Singapore at an attractive price range starting from SGD 269 to SGD 549. No adventure is complete without the right soundtrack. With the Geneva Touring Series, it’s never sounded so good. Delivering superior Hi-Fi sound in a portable package, each Touring lets you take your favourite music with you wherever you go – from the garden, to the beach and beyond. 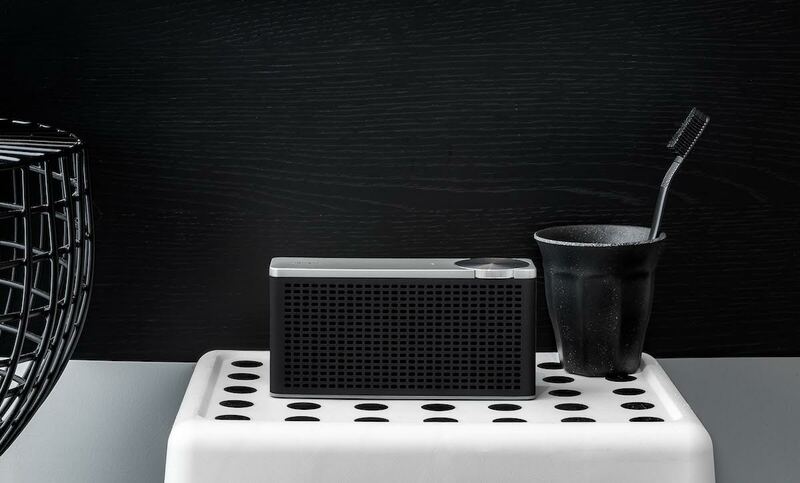 Each speaker packs cutting-edge audio technology into an elegant-yet-rugged design that looks good everywhere. It’s all precision-engineered like a Swiss watch, the Touring Series is crafted from expertly finished aircraft grade aluminium and clad in high quality eco leather. So whether you choose, Bluetooth, DAB+ and FM radio, or the lot, one thing’s for sure: you can take the party on the road and play your way. Geneva TOURING/XS – The most powerful speaker its size! The loudest little speaker you can buy, with deep, satisfying bass at any volume. It is small enough to fit into your handbag. We have put 12 years of Swiss Hi-Fi engineering experience into creating this class-leading, size defying performing portable Bluetooth speaker with a long lasting 20-hour battery. Geneva believe style and substance belong together, which is why the small but mighty TOURING/XS features two active drivers and a passive, bass boosting radiator, all powered by a quality Class D amplifier. For the size, the sound is nothing short of spectacular. Geneva TOURING/S – Small size, big sound. 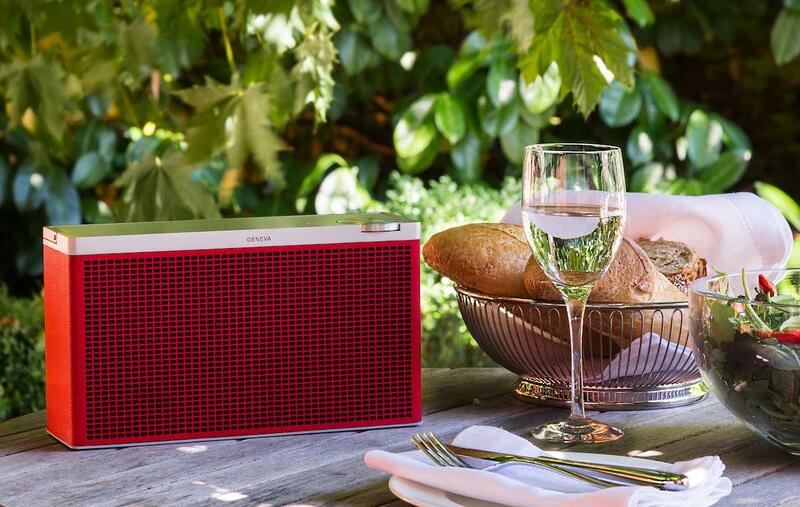 From the garden, to the park, to the beach, and back again: the Touring/S is a portable speaker that lets you enjoy your favourite tunes and radio stations anywhere, anytime. Don’t let its small size fool you: the Touring/S packs a punch when it comes to sound. Designed and expertly tuned for radio, voices are clear and rich. Instruments are detailed and well-positioned, as if right there with you. It may be the smallest DAB+ radio on the market, but its balanced sound makes a big impression: listen all day long without getting tired. 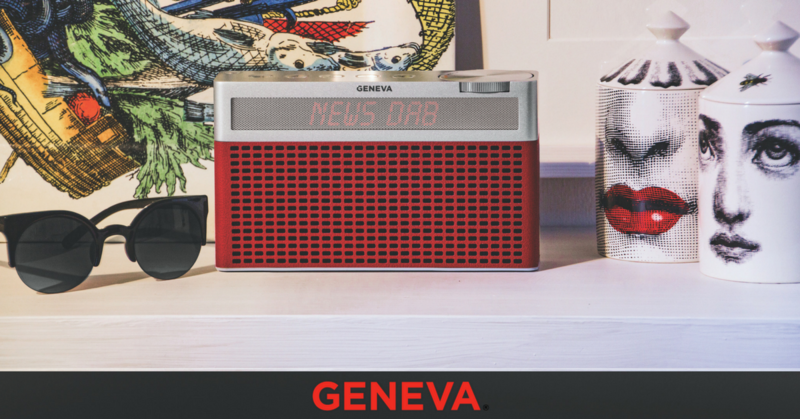 Quickly tune into DAB+ and FM radio with six presets, use Bluetooth with auto connect to stream from your digital devices in seconds, or plug straight in with a 3.5 mm jack. The long-lasting and powerful rechargeable battery means you won’t be hunting for a power socket every day either. Geneva TOURING/M – A true Hi-Fi experience for any location. 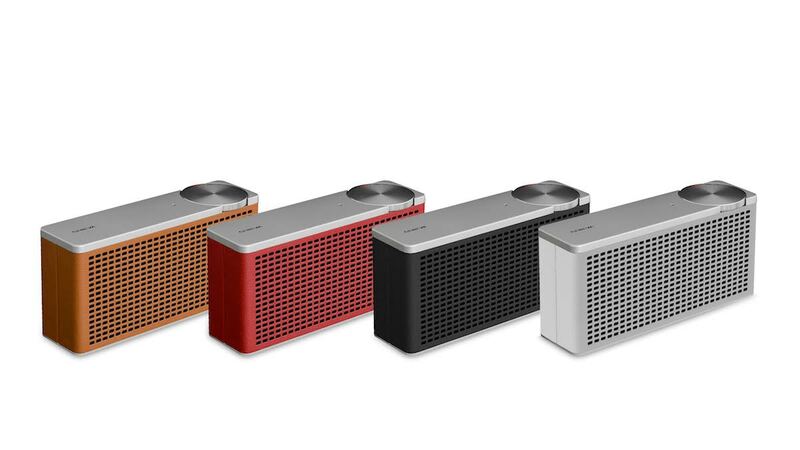 This portable Bluetooth, speaker is made for those who want incredible sound while on the move. With its unrivalled Hi-Fi audio quality and a long-lasting 30 hours battery it’s the ideal speaker for any adventure. 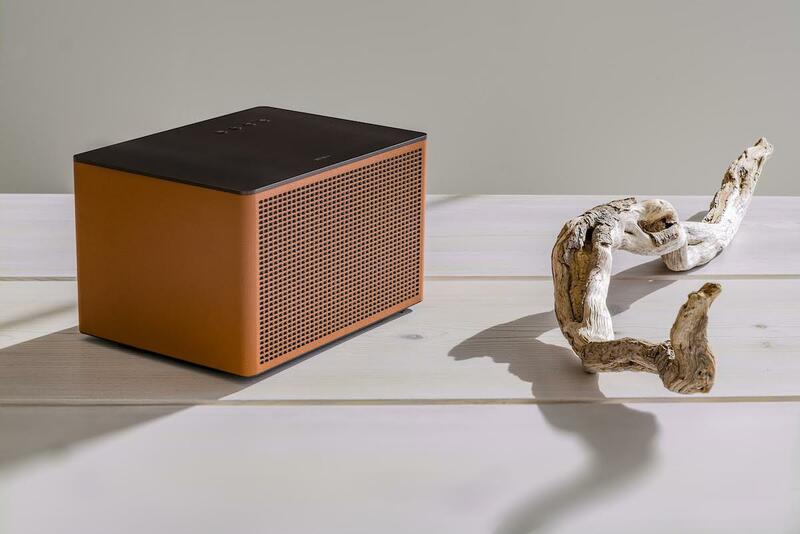 The Touring/M delivers true Hi-Fi sound whatever is playing, from rap to classical. Instruments sound detailed and rich, with bass that delves right down to 60 Hz. 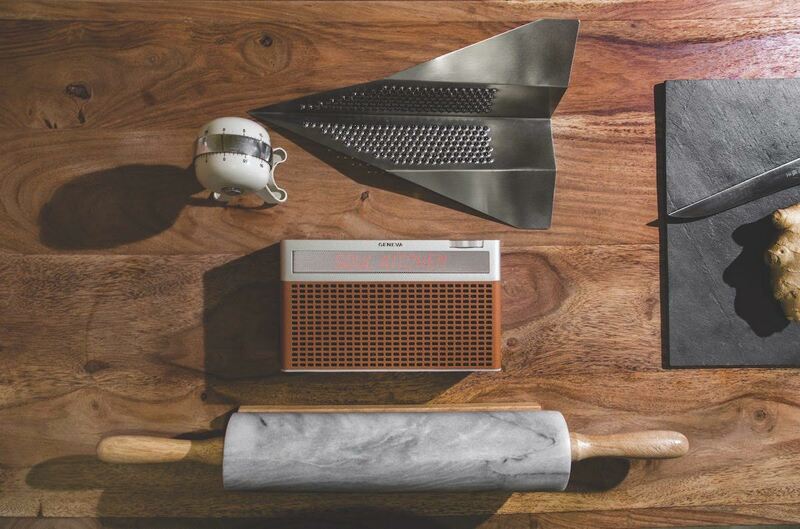 Inspired by the iconic portable radio, the TOURING/M brings subtle lines and solid materials together. On the smooth aluminium top, you’ll find no buttons, just a big aluminium dial, which give you a direct connection to your music. At a total weight of 2.1 kg, you can feel the quality – everything is machined and engineered with Swiss precision. Geneva TOURING/L – Superior sound, whatever the music. This portable Bluetooth speaker packs the same design and sound character as the TOURING/M, however the TOURING/L spots DAB+, and FM radio. Voices are crystal clear and smooth, making radio talk shows more immersive. It’s all made possible by specially tuned drivers and class D amplifiers, which ensure consistent sound quality even at the highest volume. We want you to spend all of your time listening to music, not figuring out buttons or controls. That’s why we’ve made the Touring/L simple to use. Quickly tune into DAB+ and FM radio with 6 presets, use Bluetooth with auto-connect to stream from your digital devices in seconds, or just plug straight in with a 3.5 mm jack. 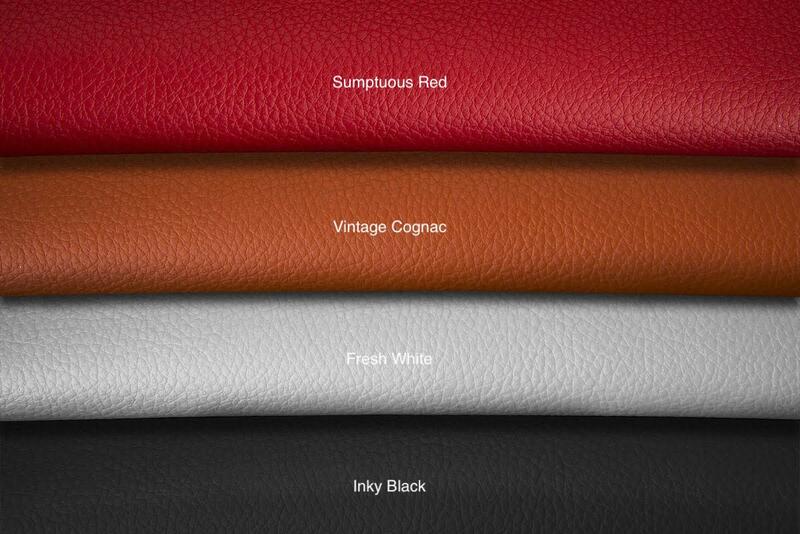 It’s topped off with eco leather that is usually reserved for high-end cameras. Geneva ACUSTICA/LOUNGE – Sounds twice its size! We challenge you to find a speaker in this size that provides better sound quality and deeper bass than the ACUSTICA/LOUNGE! Its powerful digital amplifiers and custom woofer can play bass notes as low as 50Hz. It has a very loud output without losing the hi-fi quality sound. We believe this is THE new benchmark for active speakers of this size. The Acustica/Lounge delivers true Hi-Fi sound, whatever kind of music is playing. With its deep bass as low as 50Hz, a precise midsection that make voices crystal clear and smooth, it will deliver an exceptional sound. It’s all made possible by specially tuned drivers and powerful class D amplifiers, which ensure consistent sound quality even at the highest volume. The real wood cabinet is finished with an eco-leather cladding in red, cognac, white and black; giving every speaker a unique exterior texture. The beautifully machined aluminium top provides contrast, and features laser-engraved buttons that feel solid and satisfying to touch. From the very start, we designed the Acustica/ Lounge to be simple to use. You can grab your smartphone or Bluetooth music device and instantly connect via Bluetooth to steam your music or plug in your turntable. No complex set-up or buttons – it just works. But the party piece is yet to come: using a Chromecast Audio dongle, you can hook the speaker up to your multi-room audio system and enjoy your favourite music throughout the house. The Touring Series and Acustica/Lounge is finished with an eco-leather cladding in sumptuous red, vintage cognac, fresh white and inky black. Now available in authorised Geneva Lab dealers such as AV Intelligence (Millenia Walk), Changi Airport Terminal 1|2|3|4 by e-Gadget, Isetan (Scotts & Tampines Mall), Nubox stores, Robinsons (The Heeren), TANGS (Orchard & Vivocity) and TwoBros Lifestyle & Gadget Store (Novena Square). Find out more about Geneva Lab at www.genevalab.com.